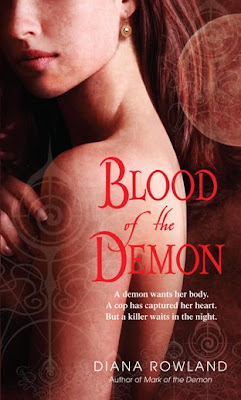 Diana Rowland just posted the cover for Blood of the Demon, the sequel to Mark of the Demon due next February 23, 2010. I really do need a time machine. Anyone have one handy? No blurb available yet. I like the warm colours. WOW! Very nice. I want it now! You always post the best ones. If you find that time machine, please let me know because I want this NOW too! I loved MARK OF THE DEMON. Great covers on the books too! Rachael me too! Even though the first one only came out a few weeks ago I read an ARC months ago and it is oh so long to wait. Caffey they have done a really nice job on Diana's covers - stylish, low key and with a consistent look. Very nice. Hey KB checking in from the RWA. Woot! Hope you are having a ton of fun. Karen I am a sharing kind of guy. If I find one I promise to leave you a copy of the new book last week. infiniteshelf as I am sure you know by now we all think the first book is terrific. Hope you get a chance to read it. I would definitely give this one a 4.5 stars out of 5. 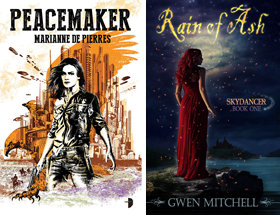 Being a fan of the police procedural and the urban fantasy that might have colored my opinion, but in those aspects it really shone.